Valentine’s Day is something that have become very popular in India in past few years. there can be many reasons behind this such as urbanization, following western culture and the rise in spending habits of Indians. The whole month of February is seen as a great opportunity for brands to advertise their products as youngsters tend to spend big money during the love season. Twitter users were quick to recognise this and some of them came up with their own versions. Social media teams of police departments across India have become very active and innovative in the game of spreading important information in the most trendy way. 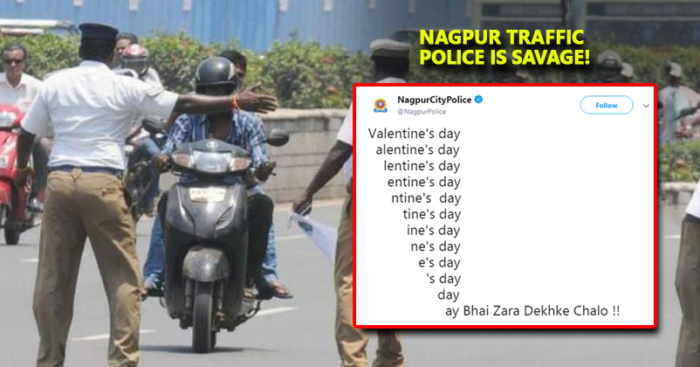 Recently, Mumbai Police was praised for using Uri’s ‘How’s the josh’ post to raise awareness about cybersecurity and Nagpur police’s Gully Boy meme had also gone viral.